The anti-vaxxers — or as I like to think of them, the last champions of entirely preventable diseases such as measles, mumps, polio and many others — are some of my least favorite people in the world. I would group them into the same category as flat-Earthers, except believing the Earth is flat does not needlessly endanger every person around you. The main argument against vaccinations is that they cause autism in young children, despite multiple peer-reviewed articles rebuking this and the complete rejection of the initial study. Even if there was a link between the two, subjecting a child to an awful, life-threatening disease like polio is far worse than the off chance of developing autism. Autism is a neurodivergence — a divergence from the way most people’s brains function. It is problematic to compare this with an easily preventable, deadly disease, and this only serves to further alienate and stigmatize autistic people. When an anti-vaxxer makes the choice of exposing themselves and everyone else around them to a deadly disease instead of doing their research, they are directly stating that they would rather risk death than live with autism, even though there is literally no risk for developing it. They flaunt this borderline ableist mindset proudly, and I am sure many of us have seen it all over social media. If the anti-vaccination movement continues to grow, it will diminish whole communities’ ability to prevent previously vaccinated diseases. If one case of mumps surfaces in a vaccinated area, there is little risk of the disease spreading throughout the community. But if there is a group of non-vaccinated people, the disease has an opportunity to spread and cause real harm, nullifying the area’s immunity. This concept of community immunity also protects primarily vaccinated countries like the United States from diseases carried by travel from non-vaccinated countries. This saves thousands of lives a year by itself and is critical to the prevention of outbreaks. These reasons are enough for the rest of us to go and get our vaccinations, but facts, studies and numbers will not convince anti-vaxxers. This delves into a more complex problem of trying to change someone’s mind once it has been set on a certain ideology, no matter how much truth there is to it. The World Health Organization actually released a 52-page booklet specifically about how to deal with vocal anti-vaxxers, if that is any indication of how complicated it can be to debunk harmful myths like this. People with any real knowledge on the subject of vaccinations will see this tweet and shake their heads, but what happens when someone who is not aware of the situation sees something like this? Presidential and even celebrity support of harmful movements provides followers with the argument that “if this prominent figure believes it, it must be right.” This specific tweet was before Trump’s presidential term, but nothing suggests this stance has changed in the last few years. 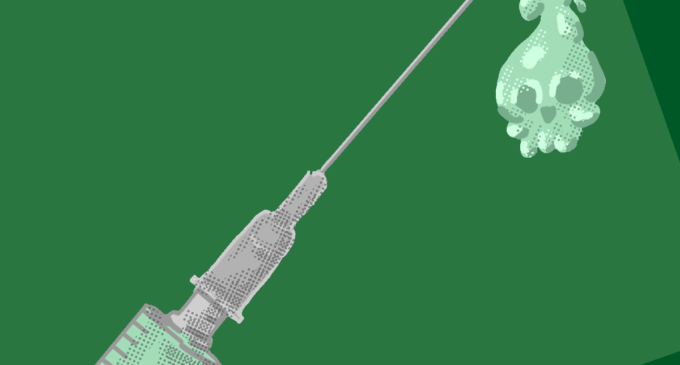 Despite all of the forces against vaccinations, one thing is still true: They work. All vaccinated diseases have basically been eradicated from the United States, aside from a few isolated cases. We live in a world where we can completely rid ourselves of certain diseases that would have been deadly 100 years ago. Anti-vaxxers risk decades of progress and the lives of everyone around them because of their own misunderstandings, which is terrible. This should be a reminder for all of us to always look deeper and research before deciding anything, especially if it could harm your children or your community. Thank you for highlighting this important public health issue. You are right – the anti-vaxx movement is misguided and dangerous, and puts our whole community at risk. It is encouraging to see a lot of recent media coverage pointing a spotlight on the dangers of decreasing vaccination rates across Texas and the nation. Well stated! I’m currently taking a course at NYU, “Critical Evaluation of Research”, which not only teaches us common research mistakes and interpretation nuances, but the course designer heavily discusses the flaws of anti-vaccine research interpretation. This article is spot-on.